This is another one of my Grandma’s classic recipes. I made it on the weekend and took it to share with the family after we watched her house sell at auction. 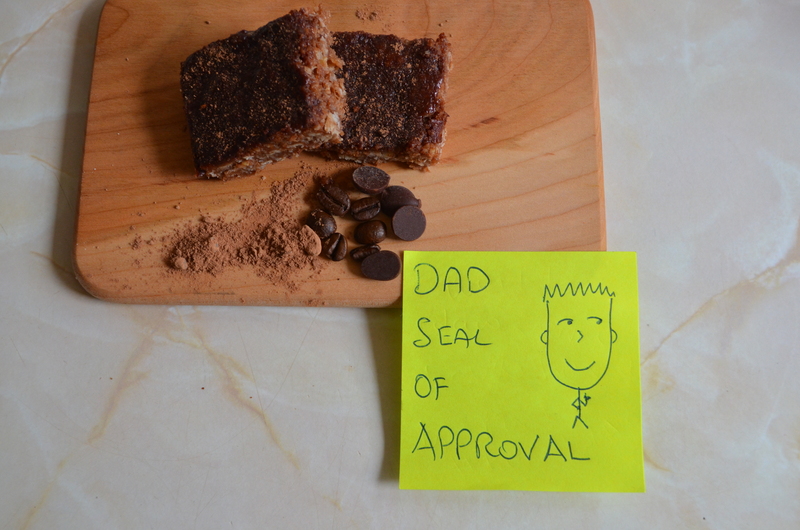 As this is Dad’s favourite sweet recipe of his Mum’s, I thought it a good one to post following Mothers’ Day. 1. 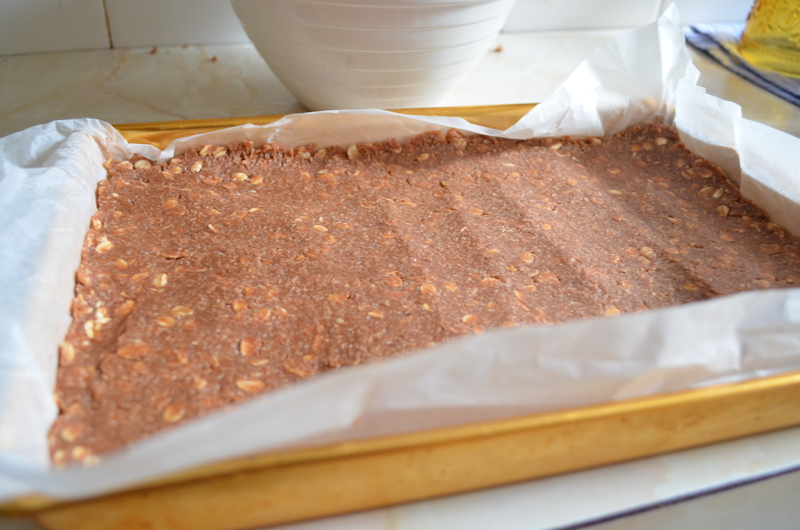 Preheat oven to 180°C and line a standard rectangular slice tin with baking paper. 2. 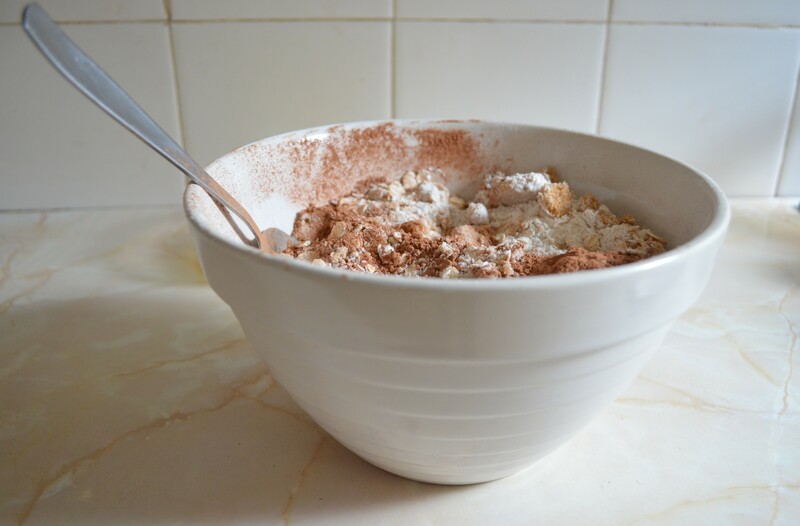 Mix dry ingredients in a large bowl. 3. Add butter and egg and stir until completely combined. Press into the prepared tin and smooth with the back of a metal spoon. 4. Cook slice for 15-20 minutes, it will harden on cooling so keep an eye on it and test to check whether it is becoming hard after 10 minutes in the oven. 5. 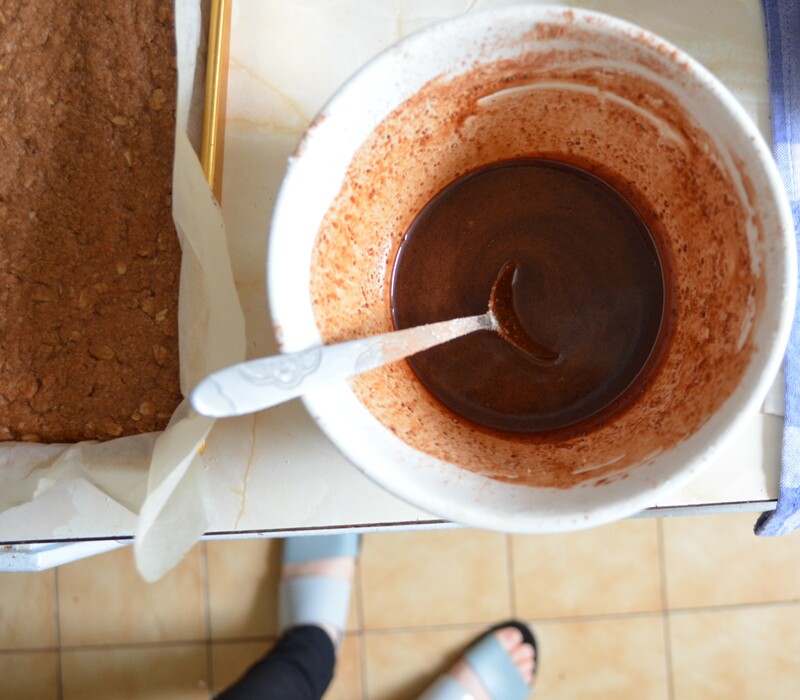 While the slice is cooking, make your icing by mixing all together all of the ingredients in a small bowl. It should be reasonably runny, with a similar consistency to melted chocolate. 6. Remove the slice from the oven and allow to cool slightly for five minutes. Pour the prepared icing over the still warm base and spread evenly. Cool in tin until the icing has set to a glossy finish and slice. 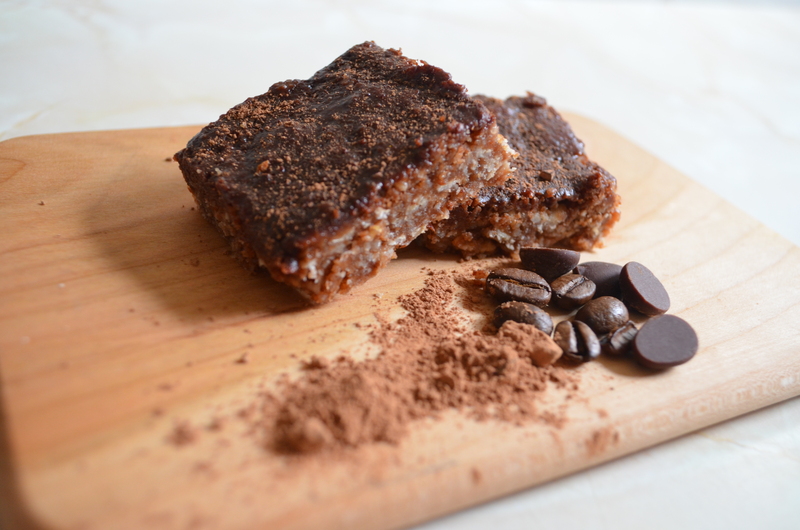 You can also sprinkle some extra cacao powder and roughly ground coffee beans on top to add a bit of extra oomph to the presentation if you so desire! Let me know what you and your taste testers think of this one. The below photo says it all for my place- I had set up my slice to take photos, went away for five minutes and came back to find my most attractive piece missing. Dad had unknowingly devoured it!